2017 Pacific Northwest JETAA Shinnenkai! February 18th!! Hey, everyone! Look at that sky, life’s begun, nights are warm and the days are young…for 2017! So be sure to mark your calendar for our upcoming Shinnenkai! Please note that, although tickets may also be purchased at the door, reserving a ticket though the Brown Paper Tickets link above is preferable as it helps us know how much food and drink to order. Come celebrate the new year and all the ch-ch-ch-ch-changes it’s sure to bring! Let’s dance, lay down some rock n’ roll lotta soul, and ring in the New Year all hunky dory! In support of Kumamoto earthquake relief, the Seattle Kumamoto Kenjin Kai have created T-shirts to raise donations. Shirts will be $25 each. For every $25 donation collected, $20 will go to Peace Winds America to directly transfer funds to Peace Winds Japan for the Kumamoto earthquake relief. 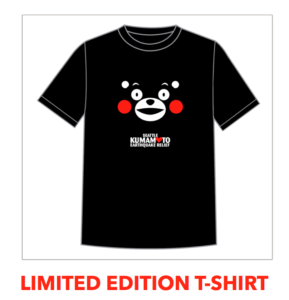 The remaining $5 covers the cost of production of the t-shirts. Please note that only cash can be accepted. It’s a wonderful cause, so please consider donating at Shinnenkai. Further details on Kumamoto earthquake relief may be found here.